Sorry I fell off the face of the earth, y’all…this little thing called OPERA has been eating my life. In the best way. Eight hours a day of amazing music, incredible dancers, and no small amount of terror at the difficulty of the score has left my brain a blob of mush. But man, I’m having a good time!! 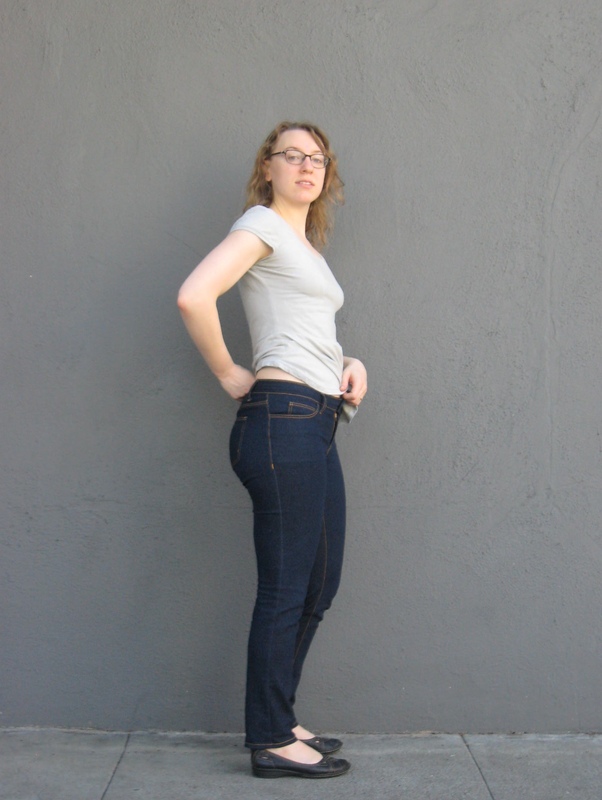 Anyhow, before all that insanity started, I made jeans. JEANS, Y’ALL. I’ve needed new ones for a loooong time – I ripped a hole in my only good pair of skinny jeans a year and a half ago – so one of my major goals this year was to replenish my depleted supply of denim with some handmade pairs. And I have to say, it wasn’t anywhere near as scary as I thought it’d be. In fact, it was downright fun – maybe even addicting! I may just spend the rest of the year sewing jeans and bras. Seriously. 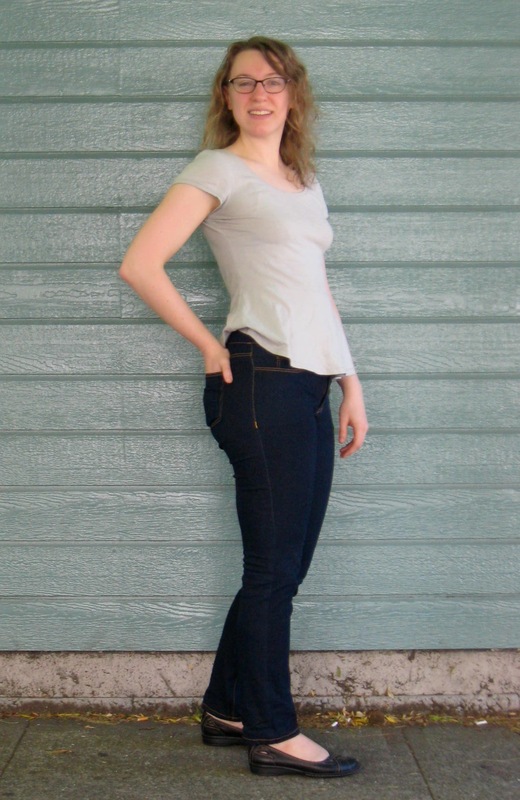 Of course, the pattern I used was the ever-popular Ginger Jeans by Heather Lou of Closet Case Files. I have to admit, I was a bit skeptical when I first saw the pattern, since it seemed to come out perfect on everyone, and this seemed to be too good to be true. Slender seamstresses and voluptuous sewists alike all looked fabulous in the pairs I kept seeing pop up around the blogosphere, so naturally I was distrustful of this pattern wizardry. But, in fact, they really are just that fabulous. 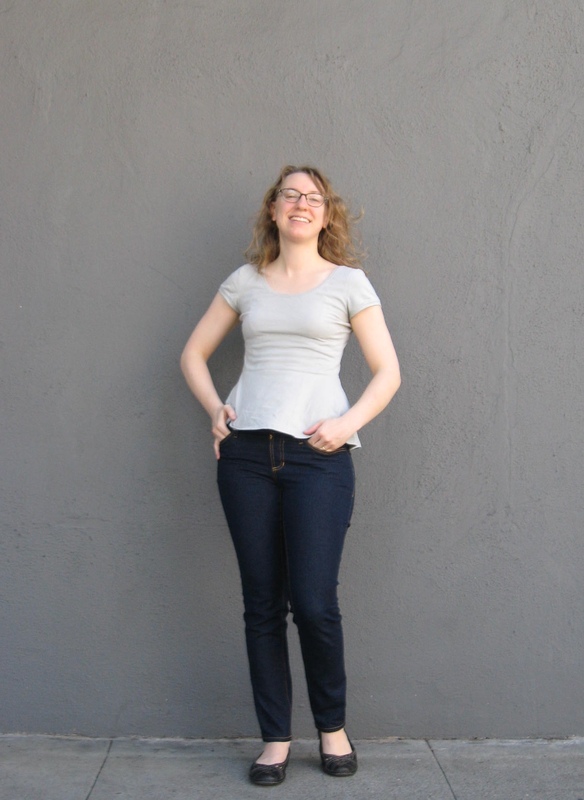 I actually almost cried when I tried on my muslin – I had never owned a pair of jeans that fit me that well! So, a few fit details and then some pics. Before cutting into my fabric, I added about 3/4″ to the crotch all the way around (since I had read that view A – the version I was making – tended to be a bit on the low side for some folks), and also added a 1″ wedge at the back crotch. I gave myself 1″ seam allowances for my muslin, but didn’t really end up needing them. Lastly, I took about an inch out of the center back of the waistband and curved that pattern piece to prevent gaping. Here she is! All in all, I’m quite pleased with this pair! 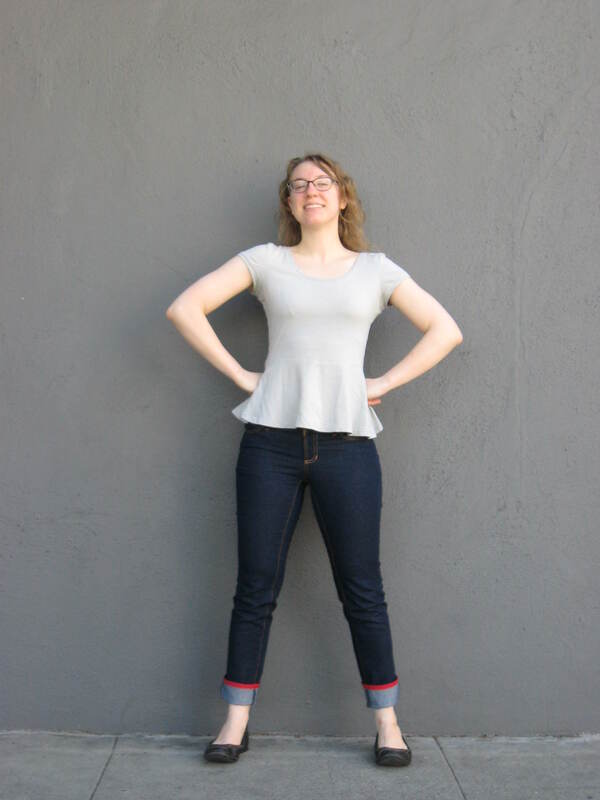 My one fit alteration for version 2 was to add about 1/2″ to the front crotch, right at the waistband (so I now use the entire length of the 5″ zipper instead of cutting off about an inch). I also lengthened them a bit – it turned out I got too overzealous about shortening them in the first place, so I had to hem them with bias tape! Kind of a fun detail, actually – I might wear them this way on purpose! 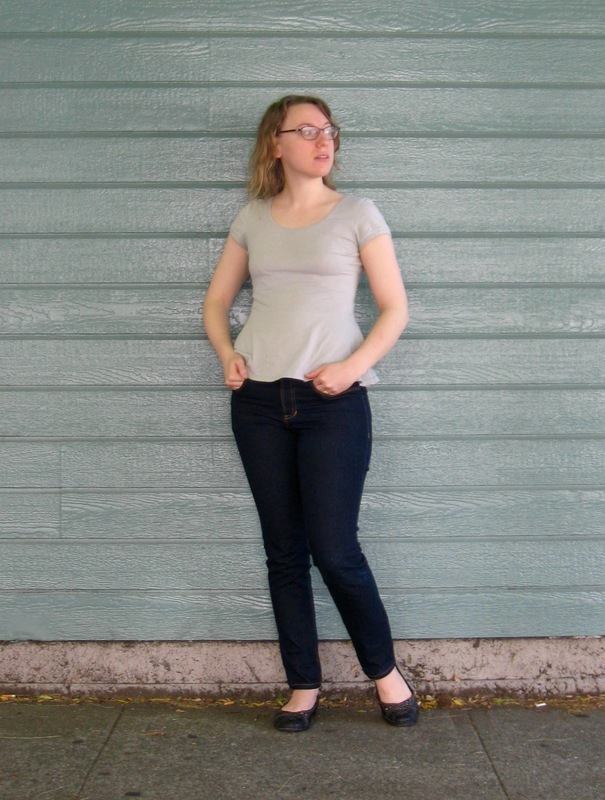 Yeah, I know, it pretty much looks the same :P. But I am definitely happier with the fit, and now I have two pairs of jeans that I absolutely LOVE! Now I just need one in every color :).